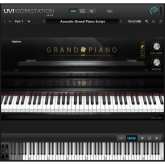 Today we're going to review the UVI Grand Piano Collection, a bundle which runs in the UVI WORKSTATION. 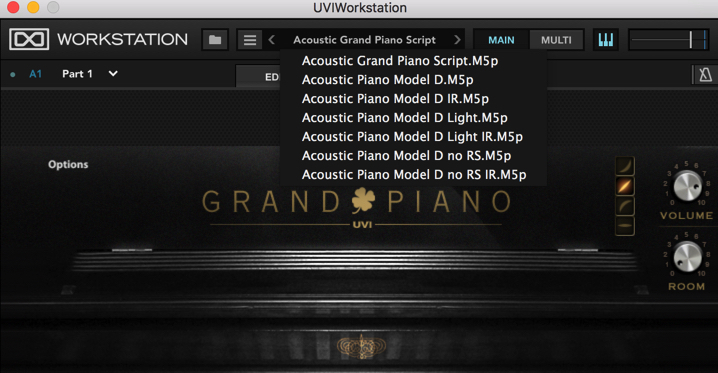 UVI has released a number of piano modules so far, but with the UVI Grand Piano Collection they've come up with a bundle of five acoustic piano sound generators. 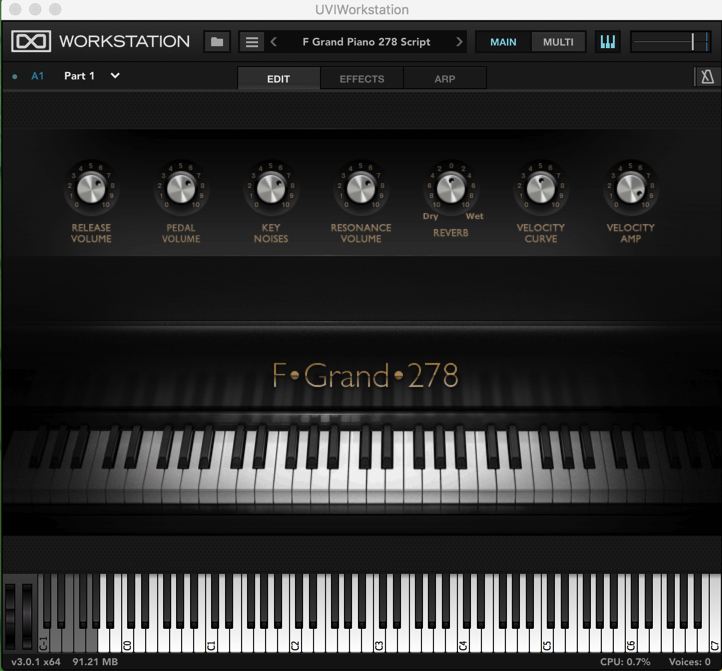 This one is a multi-sampled engine of the Steinway Concert Grand Model D which is actually quite a popularly sampled piano. UVI went so far as to use a Neumann U67 condenser microphone, the same as found on a number of well-known concert stages across Europe, when taking samples. We think that this MODEL D, as well as the F Grand Piano 278, are particular standouts of the collection, as they are very warm and of superior quality. Presets tagged with Script come with special programming/editing screens, so you've also got a visual interface for some of the grand pianos. A list of presets with Script functionality can be found here. ※ For demos, we've used the same MIDI phrase repeatedly. Further, we've optimized each piano engine for similar results by tailoring velocity curves during playback and recording. Fazioli is an Italian manufacturer of extremely expensive grand pianos, and the F278 was chosen and sampled from the almost innumerable different models Fazioli has produced, for its stellar sound. In the same way as we saw with the MODEL D, the Script functional provides the user with a visual interface. This model takes up the most storage space of all the models included, simply because this piano is so exquisite, delicate and elegant. Included in the Grand Piano Collection as a 'bonus' sound engine is the famous Japanese Grand Piano, the YAMAHA C7. Actually, a number of piano sound engine manufacturers often sample the C7, as it is a sort of standard grand piano. This is the only upright piano included in the Grand Piano Collection. The piano sampled for this engine is one of the Seiler company's recent high-end upright pianos. 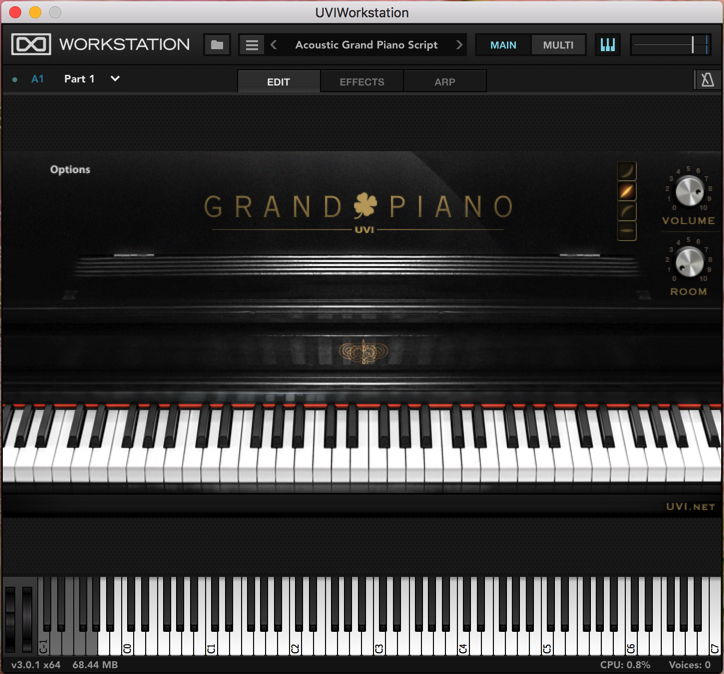 The unique sound and resonance of an upright piano has been properly captured with this engine, the power of which we think can be matched well with a variety of musical styles. This particular piano was made by Erard in the 1930's, and is a small grand piano. The term itself, and the sound of the 'baby grand' is something some of us might not be all that familiar with, but in any case this is a piano that is rather rare ("The world's smallest grand piano") and valued very highly. The sound is a little different from a full-size grand piano, which is evident from the peculiar way the smaller body resonates. Editing piano sounds can be done in one of two ways. For sounds that are enabled with Script, you get a special editing screen. For others, the look and operation are a bit different. Script enabled patch programs present you with a visual representation of a grand piano when called up, with pre-prepared parameters associated to a set of knobs. Also, if you click Options you can further edit via more knobs that show up in a new window. These parameters are all tailored just to piano sound engines, especially to allow flexibility with expression, so they're a bit different from the parameters we're used to dealing with on synthesizers and so on. 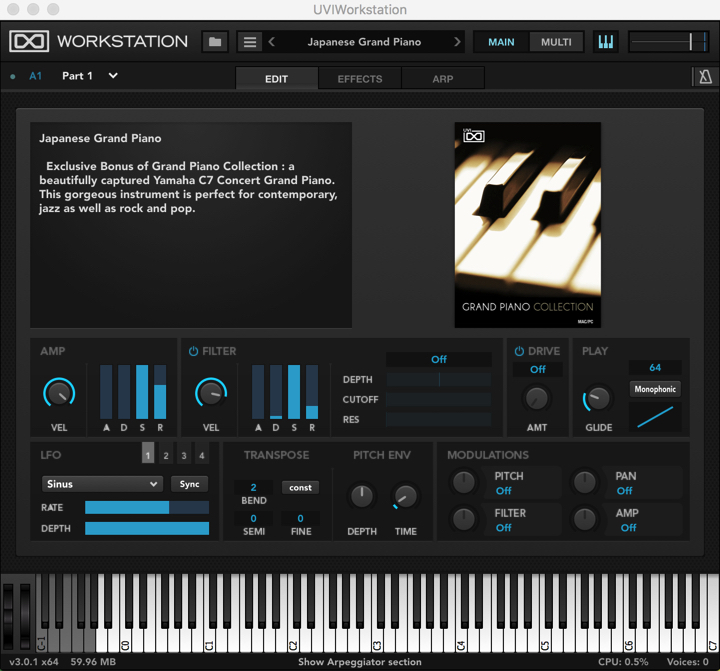 Mainly, the editable parameters all have to do with how you can shape that particular piano's sound. For programs without Script functionality, there is a shared edit page which shows editable parameters. The parameters here are more like the aforementioned 'synth' parameters, which still allow you to edit the sound of whatever particular piano you are using. 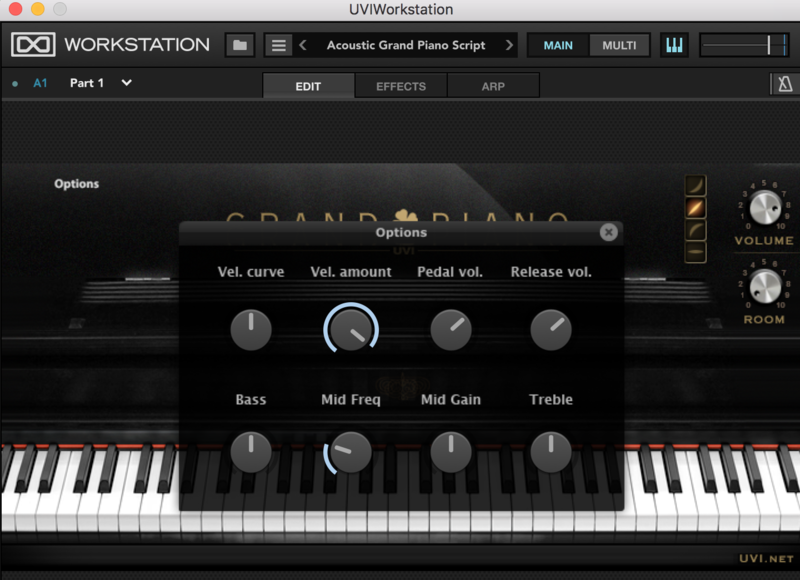 This is one special feature of UVI WORKSTATION engines, that you have an editor you can directly edit the sounds with. 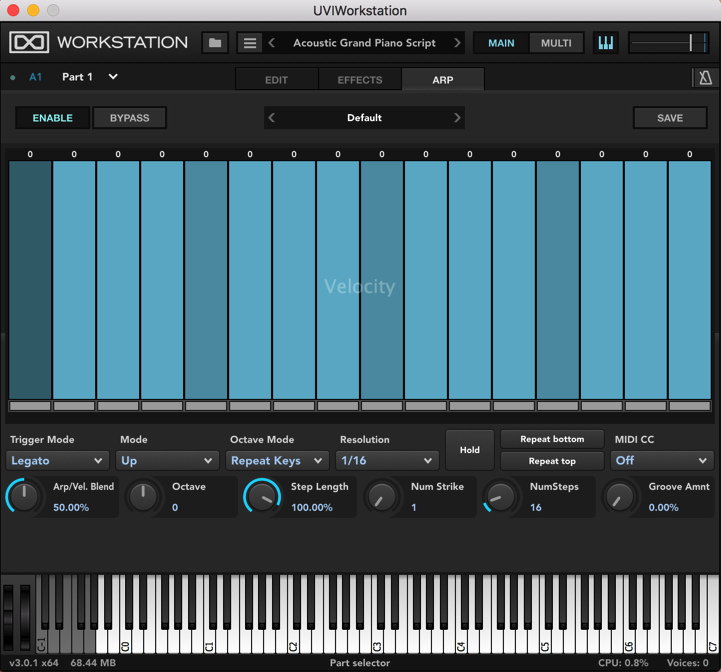 Each engine has total access to the high-quality effects included with the UVI WORKSTATION engine. You can add effects to open slots, and set up a variety of effects chains. And because these are UVI WORKSTATION effects, there is a huge number of effects provided. The Arpeggiator is a simple step-type affair, but you can set it up to work the same with each engine. However, as this is a piano sound engine bundle we're talking about, aside from using it to add effects or sculpt your sound creatively, we don't think you'll be getting much mileage out of the arpeggiator. We've taken a look at the UVI Grand Piano Collection today, but compared to other similar sampled collections, the storage space required is rather minimal. Since this is a focused collection of five high-quality piano engines, we think it's a very affordable package that has extreme bang for the buck. 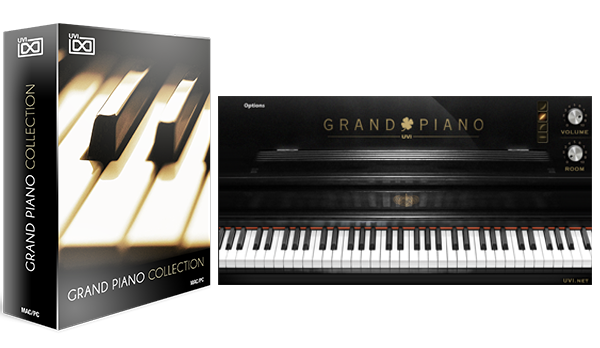 The Grand Piano Model D is actually sold individually, so without spending a whole lot more you could just pick up this bundle and have four more engines to play with. For our Sound Demos we tried to pick presets which were particularly excellent at showing the character of each piano. More preset demos can be found at UVI's website, so be sure to have a look there if you're hungry for more. Finally, we've arranged a demo of all five pianos in order, so you can listen to the differences and nuances of each one consecutively. The MODX series has arrived! It carries on the DNA from YAMAHA's MONTAGE series as a hybrid synth with its FM-X sound engine and super high-quality, realistic AWM2 sound engine. 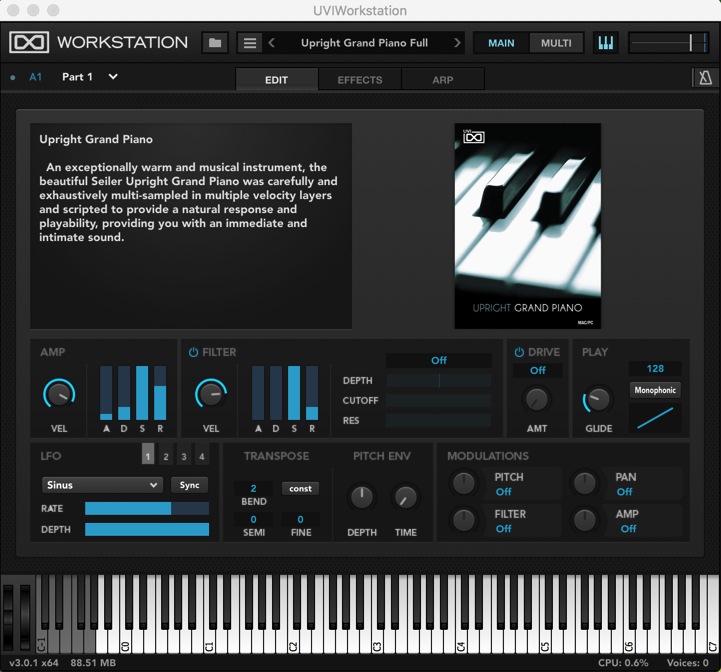 IK Multimedia, known for its IRig series and software such as SampleTank, have released a hardware synthesizer! And not just any old synthesizer at that, a real analog monophonic synth, the UNO.